This was a game that had plenty of hype to live up to, but in the end, most fans walked away thinking that they had observed a game that can be classed as a modern classic. 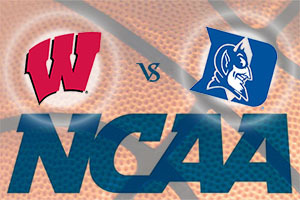 There were hopes for a basketball game that would live long in the memory and while Wisconsin may prefer to not recall the day too often, it was an excellent match brought to life by two teams battling it out to a very high standard. In the end, Duke had enough to deal with their opponents in a game that was a truly end to end encounter. This saw sees Duke stand with a 35-4 record for the season, which is technically on paper a poorer record than the one Wisconsin held, a 36-4 record. Mind you, we all know who got knocked out in the Final Four with a 38-1 record so in that regard, records don’t tell you the full story because it is Duke who are celebrating their fifth national title. The fact that all of these titles have been claimed under Mike Krzyewski is testimony to his hard work and effort. The player of the game was Tyus Jones, the freshman point guard who was hailed the Most Outstanding Player in the Final Four. The Duke player grabbed 23 points in the Championship game, 19 of these points coming in the second half. Jones delivered 7 from 7 from the three-throw mark and he has also managed to serve up an assist and 5 rebounds, making him an obvious choice for stand-out player on a very big day. At half-time the score was level at 31-31 and fans who were looking for a nail-biting climax to March Madness were still in the running. Frank Kaminsky delivered a double-double in the game, a fitting way to leave his college basketball days behind him. He offered up 21 points and 12 rebounds, and he is a player who is tipped to go on to bigger and better things in the world of basketball. The win sees legendary coach Krzyewski move beyond Adolph Rudd and he now stands in second place with his five championship wins. However, he is still a massive way behind legendary UCLA coach John Wooden, who grabbed 10 titles. However, this was the 12th Final Four adventure for Krzyewski, which is the equal of Wooden’s record. The fact that the game was still very much in the balance with less than a minute and a half on the clock is indicative of the spirit that was on show in the game. It was a three pointer from Jones with 1.24 left on the clock that finally gave Duke some much needed space and probably broke the will of Wisconsin to get back into the game. With that short and the remaining seconds of play, the NCAA March Madness event came to a close for another year, and it is fair to say that this was an event that captured the imagination. There were plenty of NCAA bets on offer and there were some magical stories over the three weeks of basketball. The history story that some people were looking for failed to materialise but there is no doubt that plenty of fans, players and coaches created some stories that they will never forget!